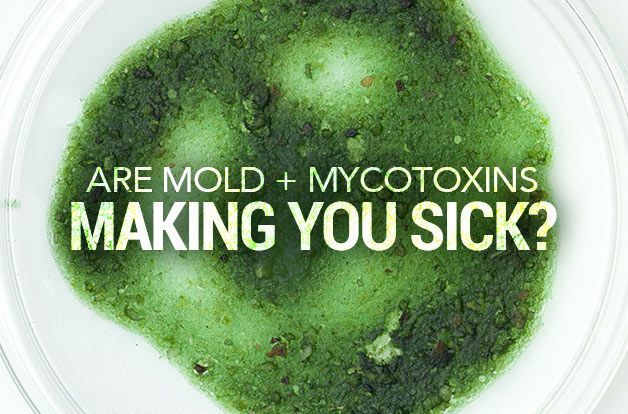 Are Mold + Mycotoxins Making You Sick? 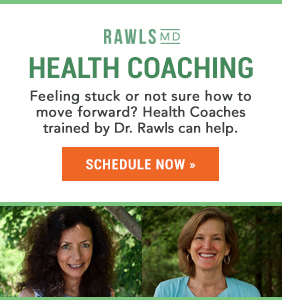 Home/Health-Articles/Are Mold + Mycotoxins Making You Sick? Even if you can’t see it or smell it, there’s a good chance that mold is lurking somewhere in your home or office. Studies show that more than 50% of homes and more than 85% of commercial buildings in the U.S. have water damage and mold. Many experts say every home has some detectable amount of mold. 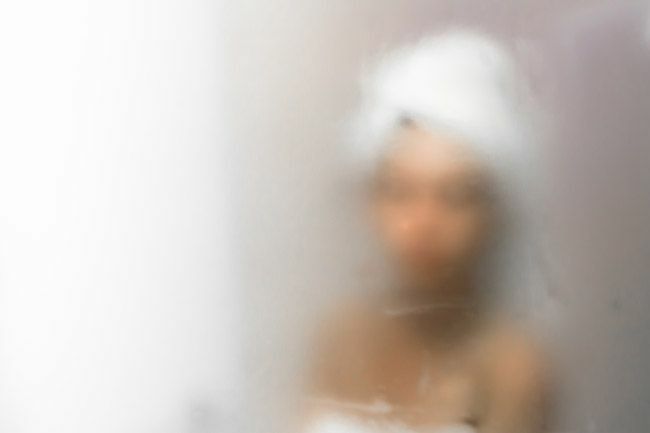 Unfortunately, exposure to mold can be detrimental to your health — regardless of whether it’s “toxic” or even whether you’re allergic to mold. Symptoms can range from mildly disruptive to serious and truly life-threatening. Keep reading to discover who’s most at risk of mold-related illness, plus how to recognize, test for, and get rid of mold in your home, food, and body. Certain people are more susceptible to mold-related illness than others. For instance, if you’re sensitive or allergic to mold, or if you have a weakened immune system in general, mold can be extremely detrimental to your health. 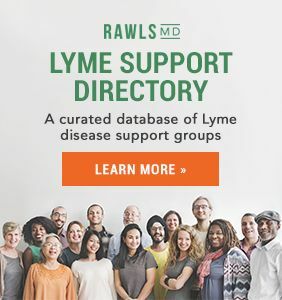 Children, pregnant women, elderly men and women, and those who are suffering from chronic illness such as chronic Lyme disease, fibromyalgia, chronic fatigue syndrome, or other health conditions are the most vulnerable. But even healthy people can develop sensitivity from prolonged exposure. The biotoxin illness response and the allergy response are two distinct responses to mold. You can not be allergic and still become highly inflamed from biotoxin illness; or could have mold allergy and not develop a biotoxin illness. About 25% of Americans also carry a gene called HLA-DR (human leukocyte antigen) that makes it more difficult for them to excrete mycotoxins, toxic metabolites produced by a variety of different molds. Mycotoxins can be absorbed by the skin, airways, and intestinal lining, and once inside the body, they trigger inflammation and oxidative stress. 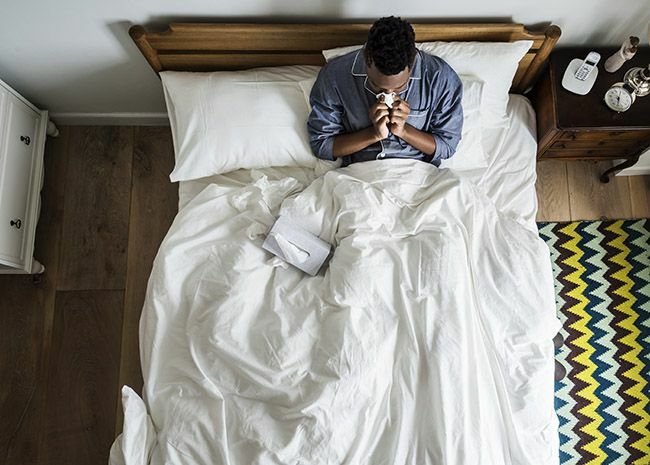 This can lead to respiratory conditions, infections, and in some cases of prolonged exposure, upper and lower respiratory disease, chronic fatigue, and even cancer. In people with the HLA-DR gene, their body is unable to recognize toxins as a foreign invader, so they don’t produce the antibodies needed to remove mycotoxins. 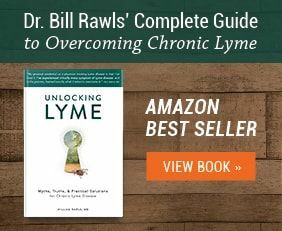 This population is also more likely to develop Chronic Inflammatory Response Syndrome (CIRS), an out-of-control inflammatory response to toxins like mold. 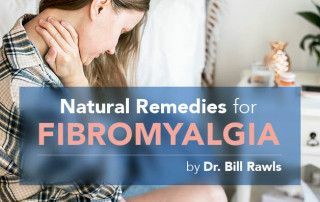 CIRS causes a cascade of inflammatory and hormonal changes that result in symptoms such as fatigue, pain, gastrointestinal and neurologic symptoms, sleep disturbances, and more. 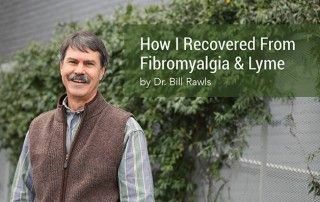 You can be tested for the HLA-DR gene, and if you suffer from fibromyalgia, chronic Lyme, or another fatigue-related chronic illness, you may want to consider it. Mycotoxins worsen immune dysfunction associated with chronic disease and inhibit healing processes in the body. They also disturb hormonal balance in the body, and reduce tolerance to any type of stress. 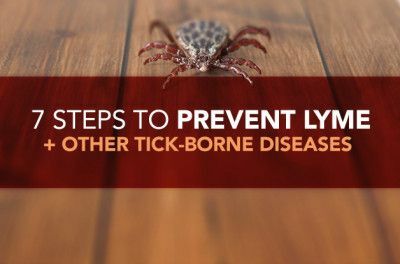 “Exploring HLA-DR susceptibility in biotoxin illnesses such as Lyme disease and mold illness can be very helpful,” says Scott Forsgren, FDN-P, Functional Diagnostic Nutrition® Practitioner and founder of BetterHealthGuy.com. 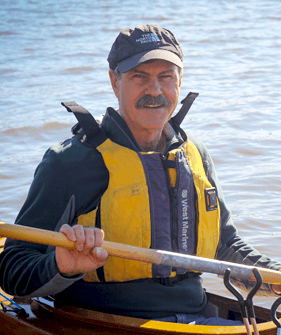 Forsgren invested in HLA-DR testing after he was diagnosed with Lyme disease and mold illness. The symptoms that arise from mold exposure depend both on your susceptibility and the type of mold you encounter. There are three main categories of mold: allergenic, toxigenic, and pathogenic. Stachybotrys (a.k.a. black mold): toxigenic mold, green or black with a slimy texture, known for growing on cellulose material (wood, cardboard, paper, hay, wicker), distinctive musty odor, very toxic to humans. Stachybotrys produces trichothecene — a potent mycotoxin that can make you very sick. If mold allergy is an issue, the only option for complete relief is to eradicate mold from your environment. The same is true if you have an HLA gene that prevents you from excreting mycotoxins, but in this case you’ll also need help from additional therapies such as binders and possibly antifungal therapies to clear them from your system, which will be detailed more below. Molds can grow in many environments, but they especially love warm, moist, indoor areas. Mold thrives on moisture (humidity and water) and cellulose (wood and paper). A moldy or musty odor, a wet basement, and condensation on surfaces or in structures such as windows may all be indications that you’re dealing with mold. However, mold can’t always be seen or smelled: It can remain hidden in walls (drywall in old houses is notorious for harboring hidden mold) and moist crawl spaces. If you’re experiencing symptoms of mold-related illness, and if your immune system is impaired due to chronic or other illness, it’s safe to assume there is mold in your midst. When checking for mold in your home, start with ceilings above showers and in bathrooms. Air conditioning systems and ductwork commonly accumulate mold. Attics are also a hotspot: Bathroom fans that work to draw moisture from the room are often vented to the attic instead of outside, or the vent may be leaking. This accumulation of moisture can cause black mold to grow in an attic. If you have a front-loading washing machine, check it, too. The door’s rubber seal traps in moisture, creating the perfect environment for mold. Other unsuspecting spots include home water supplied from a well or cistern, and memory foam mattresses. There are two main ways to test for mold in a dwelling. The first is mold plates, which contain a growing medium specifically for mold. The plates are placed at different locations around the dwelling, and mold spores in the air fall on the plate and start to grow. Mold plate testing can work, but it is not very sensitive. Mold spores differ in weight, density, and air flow characteristics, so some types are more likely to settle on the plates than others. Sticky molds that often appear near water damage, like black mold, may end up evading the plates completely. A more sensitive and specific method of testing uses dust samples from key areas in the dwelling. This can be done using an Environmental Relative Moldiness Index (ERMI) test, or a species-specific PCR analysis. This method is highly accurate and sensitive to mold detection, and the results are immediate. Scott Forsgren highly recommends this type of testing. “The Mycometrics ERMI is still the first test I would recommend to explore the potential for mold in the environment,” he says. “No test is perfect, but this is often a good screening test that can be performed on your own.” Forsgren also suggests that adding plate testing (such as Immunolytics) to ERMI can provide additional insights. One more test to consider is the Environmental Mold & Mycotoxin Assessment (EMMA) test. 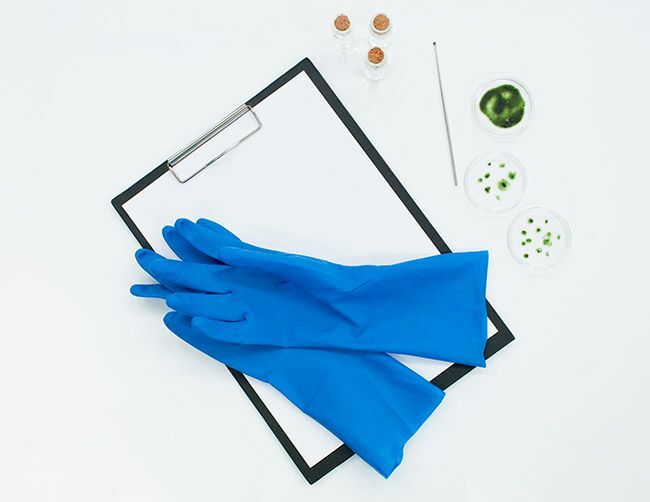 EMMA detects the presence of 10 mold spores that are either toxigenic or pathogenic, including penicillium, stachybotrys, chaetomium, mucor, rhizopus, and five strains of aspergillus. It also assesses the levels of mycotoxins that these spores are known to produce, and the cost is similar to ERMI. Sometimes it also pays to bring in the pros. “In cases where mold is suspected but not identified, an IEP [indoor environmental professional] may often be needed to do more in-depth testing and exploration for hidden sources of mold exposure,” says Forsgren. Finally, automobiles’ ventilation systems are an often overlooked source of mold. When you go in for regular service for your car, have them check and clean the ventilation system. Some newer cars have ventilation air filters that need to be changed regularly, otherwise they will harbor mold. Inspect crawl spaces and use a dehumidifier, if necessary. Have any visual evidence of mold removed by a professional. Make sure attics are dry, and moisture is not being vented into the attic. Have heating and air conditioning systems checked for mold and cleaned. Make sure carpets are not damp or growing mold. Replace carpet with wood or cork if possible. If you have removed all visible mold and the smell of mold is still present or testing is still positive, the mold may be embedded in drywall, inside walls, in crawl spaces, or in attics. In this case, the only recourse is removing the drywall and insulation completely and replacing it with mold resistant drywall and insulation. Again, this should be done by professionals. DIY projects can cause severe exacerbation of symptoms in a sensitive individual. Temporary measures for reducing mold spores and mycotoxins in the air include placing HEPA filters in rooms where mold is present, ozone treatment (done when the building is unoccupied), or diffusion of essential oils into the air, but these measures will not eradicate mold. These foods are associated with molds that produce aflatoxin, a mycotoxin that can cause cancer. Grains, especially wheat and corn, can harbor several species of mold, including black mold. 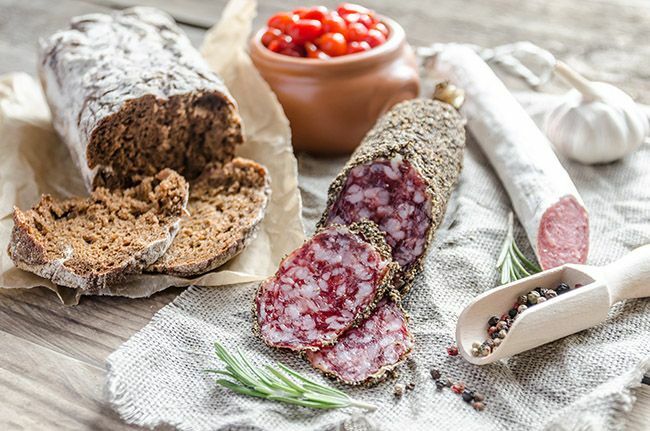 Dried fruits and processed meats can also contain mold. The longer food sits out — especially after it has been cooked — the more apt it is to grow mold. Refrigeration can slow the growth of mold, but not eliminate it. The solution? Buy fresh produce, and avoid foods that are apt to harbor mold. Don’t store washed produce in your fridge — water droplets left sitting on the surface can speed mold growth. Instead, wait to wash your produce until right before you eat it. Thorough cooking also helps to reduce the concentration of mycotoxins in food. There has been a lot of online discussion about mold in coffee. Like most foods, coffee does harbor some mold, but no more than any other foods. Hot water used to make coffee actually gets rid of some of the mycotoxins present. Decaffeinated coffee has higher levels of mycotoxins than regular coffee. If you are extremely mold sensitive, it is best to look for higher grades of coffee, which have lower levels of mold, or avoid coffee altogether. Mold cannot grow inside your body unless you are extremely ill. 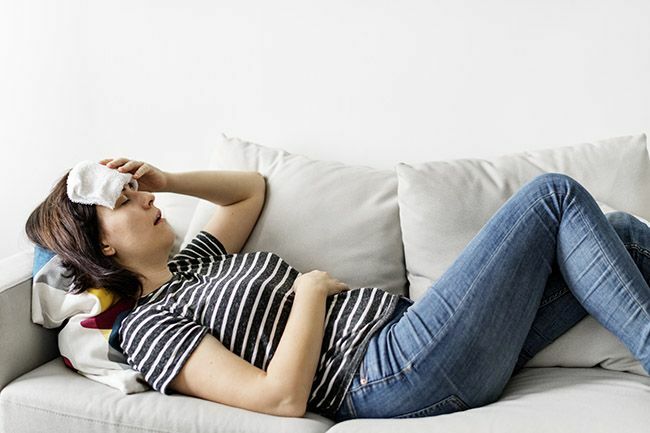 Mold can, however, grow on moist surfaces inside body cavities such as nasal passages and sinuses, which offer a perfect warm, moist environment. If immune function has been compromised by exposure to mycotoxins and stealth microbes, mold can take hold, and burning and irritation of throat and nasal passages can become chronic. It is possible to test for mycotoxins in your body. “Some practitioners look for levels of urinary mycotoxins as another point of reference, rather than exploring the environment alone,” Forsgren explains. 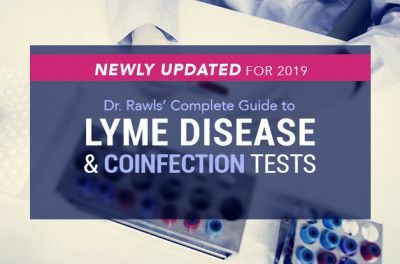 “While this testing has been a source of debate, many feel they have benefited from the information it has provided; myself included.” Be sure to look for a mold literate practitioner who can help guide further testing that might be beneficial. It’s best to assume that if you have mold exposure and you feel bad, you probably have mycotoxins in your system. Even healthy people have a certain amount of mycotoxins. Many people do not need elaborate protocols to purge mycotoxins from their system. With a healthful diet and eradication of mold from your environment, mycotoxins can gradually and naturally be removed from your system. Antifungal medications. The best approach to clearing nasal passages and sinuses is nasal washes with antifungal medications. 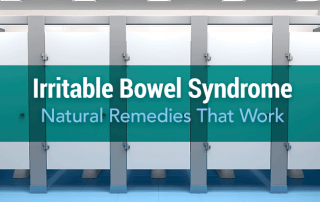 Natural solutions include xylitol nasal wash and allicin (from garlic) liquid wash. Nasal steroids may also be necessary to reduce inflammation, but they will not cure the problem. In some cases, it’s valuable to do cultures to distinguish between a bacterial and a fungal problem. Antibiotics alone can make the situation worse. Far infrared (FIR) sauna. Spending time in the sauna each day can help rid the body of mycotoxins through sweat. Binders. Dietary fiber and chlorella — a freshwater green algae that’s rich in detoxifying chlorophyll — can help bind to and remove mycotoxins from the body. A healthy diet high in vegetables is generally sufficient in dietary fiber, but natural fiber supplements (usually containing apple pectin and other forms of fiber) are crucial. 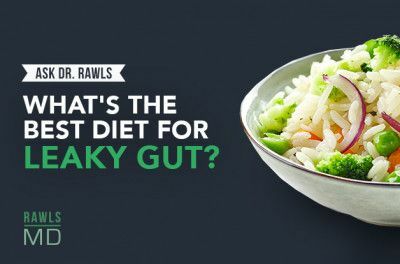 Note that fiber supplements, however, may cause digestive discomfort in some people. Restricting processed carbohydrates and sugars. Candida is a yeast — which is a fungus, not a mold — that is ubiquitously present in the human intestinal tract. Low levels of yeast are generally not a problem unless immune dysfunction and imbalance in gut flora are present. In this case, overgrowth of yeast can occur. Yeast overgrowth produces a mycotoxin, which can cause systemic symptoms. Herbal teas. Studies have shown that the antioxidant polyphenols in certain teas can help reverse oxidative damage caused by mycotoxins. These include rooibos, honeybush, green, and black teas. Adding them to your diet may help boost recovery. Curcumin. In a study published in the journal Archives of Toxicology, researchers found that curcumin showed significant liver protection against aflatoxin-induced oxidative liver damage. Cocoa. According to a 2012 study in Food and Chemical Toxicology, a polyphenol-enriched cocoa extract was able to reduce free radicals produced by mycotoxins. The study suggests that enjoying a little dark chocolate may offer beneficial antioxidants in response to mold toxin exposure. Glutathione. 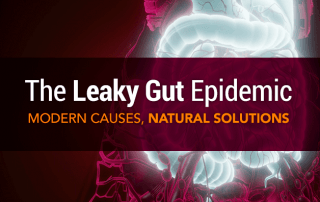 Mycotoxins deplete the body of enzymes that make glutathione — a key antioxidant for reversing free radical damage and removing toxins from the body. 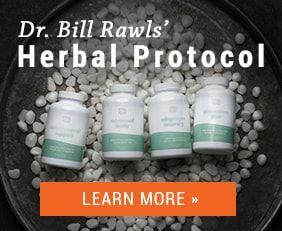 Supplementing with glutathione can help with repletion. It supports the body’s detoxification system, provides antioxidant protection, and supports mitochondrial resistance to free radical damage. If you suspect that mold may be lurking in your home and making you sick, follow the steps above to identify and eradicate the problem. Mold and related side effects are a pervasive problem, but it’s not something you have to live with. 1. Marnewick JL, et al. Chemoprotective properties of rooibos (Aspalathus linearis), honeybush (Cyclopia intermedia) herbal and green and black (Camellia sinensis) teas against cancer promotion induced by fumonisin B1 in rat liver. Food Chem Toxicol. 2009 Jan;47(1):220-9. 2. El-Agamy DS. Comparative effects of curcumin and resveratrol on aflatoxin B(1)-induced liver injury in rats. Arch Toxicol. 2010 May;84(5):389-96. 3. Corcuera LA, et al. A polyphenol-enriched cocoa extract reduces free radicals produced by mycotoxins. Food Chem Toxicol. 2012 Mar;50(3-4):989-95. 4. Rea WJ, et al. Effects of toxic exposure to molds and mycotoxins in building-related illnesses. Arch Environ Health. 2003 Jul;58(7):399-405. 5. Joseph H. Brewer, et al. Chronic Illness Associated with Mold and Mycotoxins: Is Naso-Sinus Fungal Biofilm the Culprit? Toxins (Basel). 2014 Jan; 6(1): 66–80. 6. Frederick Fung, M.D., M.S., & Richard F. Clark, M.D. Health Effects of Mycotoxins: A Toxicological Overview. 2004 Nov; 217-234. 7. Janet Hope. A Review of the Mechanism of Injury and Treatment Approaches for Illness Resulting from Exposure to Water-Damaged Buildings, Mold, and Mycotoxins. 2013 April. 8. Elisa V. Bandera et. al. Urinary Mycoestrogens, Body Size and Breast Development in New Jersey Girls. 2011 Nov 15; 409(24): 5221–5227. 9. Mohamed E. Impact of mycotoxins on humans and animals. 2011 April 15(2); 129-144.